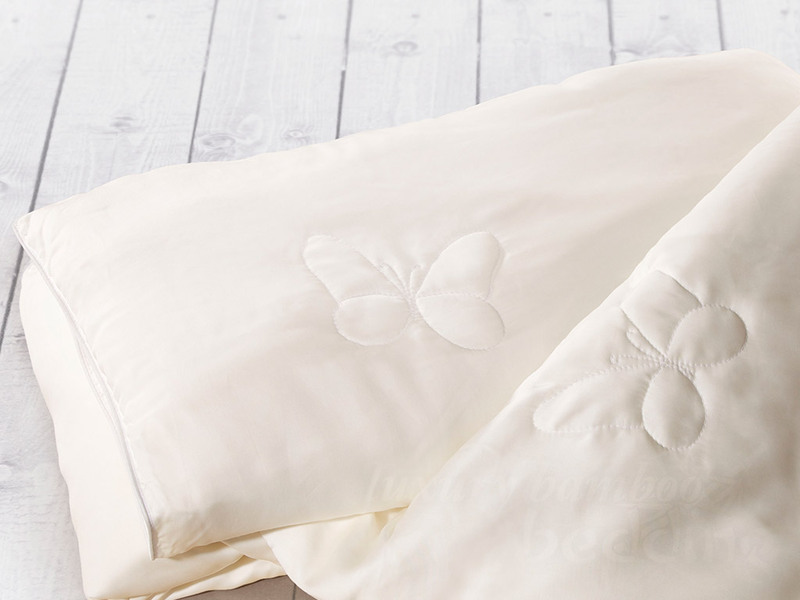 Mulberry Silk Duvet for Luxurious Comfort. Free Shipping. Luxury Bamboo Bedding's Mulberry Silk Duvet (a duvet is a comforter with an easy to wash duvet cover) has been designed for maximum breathability and four season comfort. The silk duvet is extraordinarily light with excellent insulating properties. Both the Mulberry silk fill and the bamboo shell fabric are very breathable. A Mulberry Silk duvet and bamboo duvet cover are our customers' favorite choice to stay comfortable without compromising the wonderful breathability of their bamboo sheets. 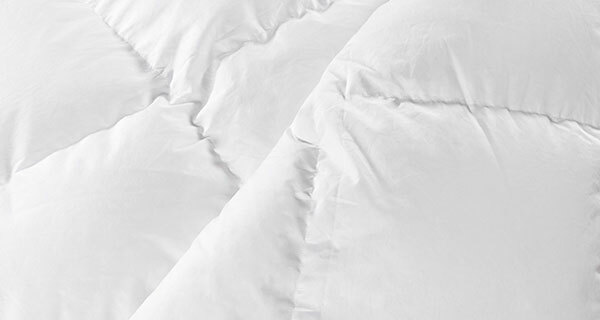 By design, the silk duvet and bamboo duvet cover have superior drape for snug coverage. To achieve four season comfort, 400 grams per square meter was chosen as the silk comforter weight. 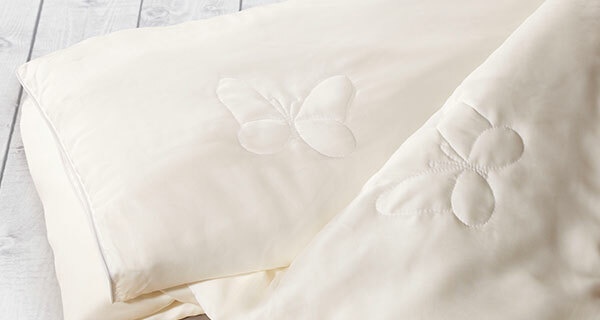 The silk fill is secured by a butterfly quilt motif for even distribution and long lasting stability. Both the fill and the shell are hypo-allergenic and recommended for people with allergies. Note that our Mulberry Silk Duvets are also available with a Tencel shell fabric (made from the cellulose of beech trees) which has properties very similar to our bamboo fabric. This duvet is incredible! I live in Arizona where temperatures in the summer time can exceed 115F and this duvet allows me to stay comfortable through it all! I have tried other temperature regulating sheets and blankets but this duvet paired with my 500 thread count bamboo sheets is like sleeping on a cloud. Very impressed by the quality, design, and functionality of this duvet not to mention the low maintenance! This will forever be on my bed! Van was fabulous to work with! He helped me create a custom size (cal king) duvet and it came out perfectly! I love the softness and comfortable feel of our new sheets and duvet. They wash beautifully, and I've had no problems at all! Van was always available to answer my many questions and quickly answered my emails or phone messages. I absolutely recommend Luxury Bamboo Bedding for their wonderful product and customer service. Gail K.